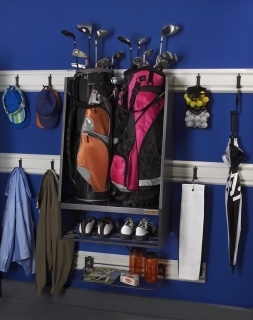 Ideal for golf storage and some more ! 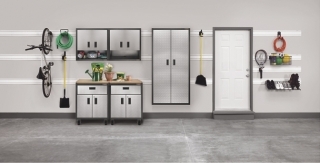 Pack 4 is an excellent starter kit for anyone who would like to start with a complete range of flexible and modular Gladiator storage solutions. 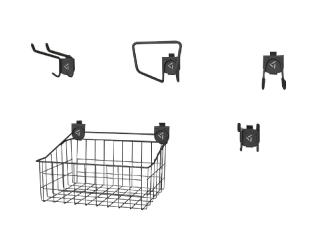 Pack 5 includes almost everything you need to organize your garden equipment, a bike, terracotta pots, etc... 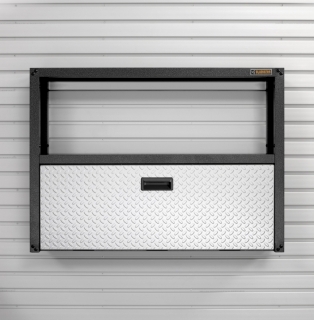 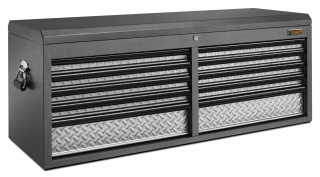 It contains over 29 meter GearTrack channels and is considered ideal when your garage is too small to install cabinets and would like to optimize the existing walls and thus your storage space. 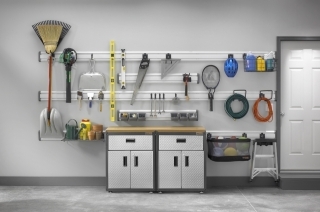 Pack 7 is a complete pack that includes a large range of storage solutions going from the storage of your garden equipment and/or sporting goods. 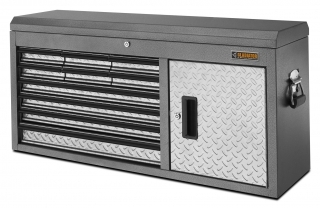 It includes also cabinets that can be closed and can be utilized for fertilizers and other hazardous materials that need to be locked away from children. 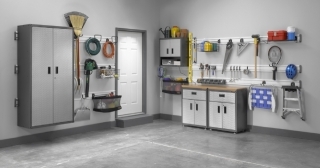 Also, the Gladiator cabinets on large caster wheels can be put anywhere needed in the garage so your storage is optimized in the area you want it. 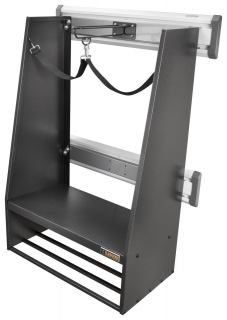 Pack 8 provides intelligent and flexible solutions for your sporting goods and can be stored on a variety of Gladiator hooks, baskets and shelves. 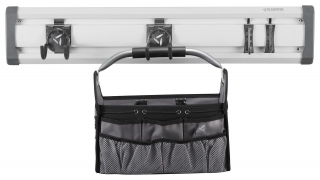 This pack includes a modular work unit with a wall suspended large RTA cabinet. 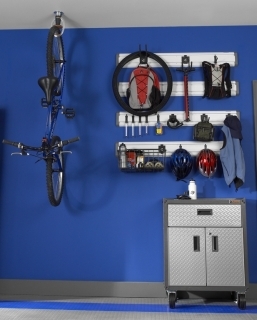 As such you can safely store your sporting gear for the winter protected from dust. 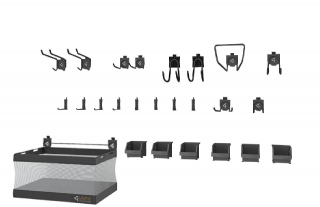 Pack 11 is the perfect family package for storing all your sporting gear and other leisure equipment. 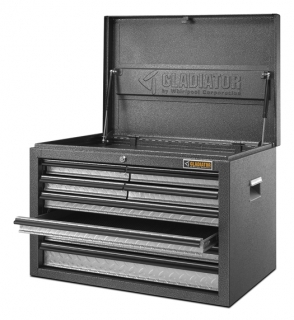 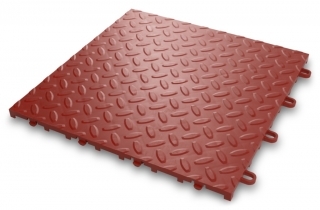 In addition, the flexibility of the Gladiator modular system enables you to safely store your garden equipment and is the ideal work environment for the DIY'er. 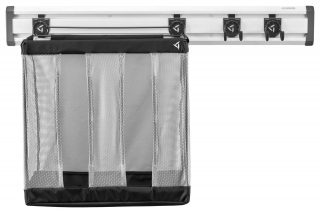 Pack 14 is suited for the families that need a large storing capacity and have an active lifestyle. 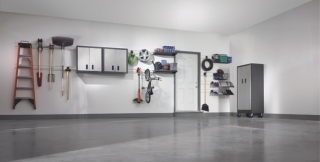 They can easily store all their sport gear and other equipment into a perfecly organized garage.